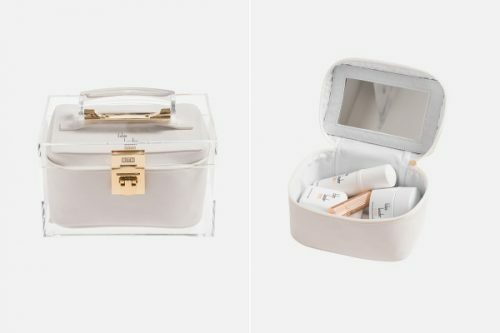 Kith has partnered with Estée Lauder to launch a collaborative collection of the iconic beauty brand’s most beloved skincare products through a new lens. A play on Kith’s motto “Just Us,” the collection illustrates the idea of “Just You,” celebrating the strength of every woman’s natural beauty with a selection of products that provide a complete skincare regimen to create beautiful, glowing, flawless skin. The Kith x Estée Lauder collection features five luxury skincare products, each co-branded with the beauty brand’s original logo created back in 1946. Products include the Perfectly Clean Multi-Action Foam Cleanser/Purifying Mask, Micro Essence Aquaceutical™ Mist, Revitalizing Supreme+ Global Anti-Aging Cell Power Creme, the Advanced Night Repair serum and the Lip Conditioner. Head over to Kith.com on 15th March to shop the collection, remember to get your order shipped to our US warehouse to save on international shipping.